The study of conceptual change traces its heritage to the notions of paradigm (networks of shared beliefs, concepts, practices) and paradigm shift made famous by Thomas Kuhn in his book, The Structure of Scientific Revolutions. Kuhn’s work was quickly linked to developmental psychology (how knowledge develops) and to science education (teaching big, new ideas). This book is the first comprehensive review of the conceptual change movement and of the impressive research it has spawned on how knowledge develops and can be taught in different content areas. Because of its interdisciplinary focus chapter authors were instructed to write in a manner comprehensible to researchers and students from different fields. 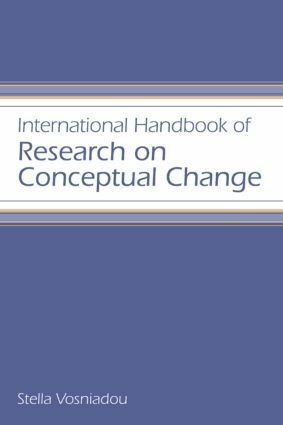 The International Handbook of Research on Conceptual Change consists of twenty-seven chapters that clarify the nature of conceptual change research, describes its most important findings and demonstrates their importance for education. It is organized into six sections that include detailed discussions of key theoretical and methodological issues, the roots of conceptual change research in the philosophy and history of science, mechanisms of conceptual change, and learner characteristics. It also contains chapters that describe conceptual change research in the content areas such as physics, astronomy, biology, medicine and health, and history. A particular focus is given to students’ difficulties in learning more advanced and counter-intuitive concepts. Learning and Teaching about Matter in Grades K–8: When Should the Atomic-Molecular Theory be Introduced?